What a gift to see a loved one again after they have passed on from the physical. It matters not if human or animal because love is love. Either way it is a joyous reunion and special blessing. Excerpt from “Testimonies of God’s Love – Book 1.” Available in print, eBook, and audio format. 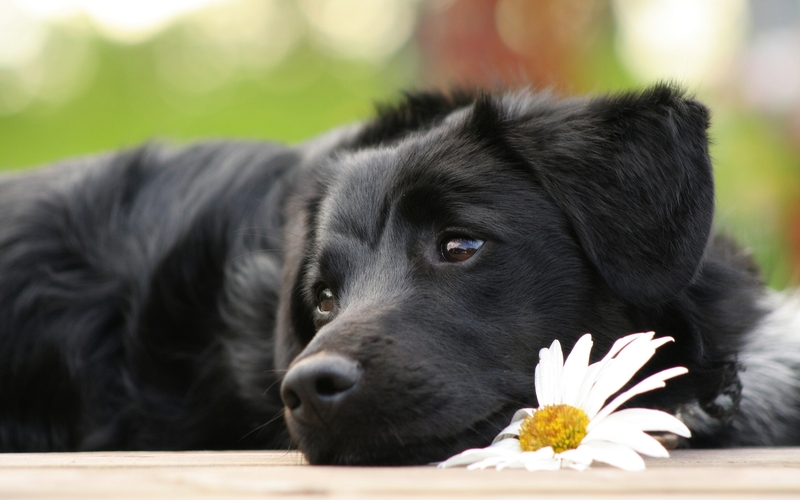 For about thirteen years I had a pet black Labrador Retriever named Callie. I adopted her when she was six weeks old, and she was with me until she passed in 1998 of declining health and old age. I have no children, so she really was almost like a daughter to me. I loved her dearly and felt very sad for a long time after she died. I am blessed to have had several dreams with her. In one of the dreams she was a puppy, and I was taking her for a ride in a basket that was attached to the handlebars of the bicycle I was riding. She was happy and healthy, and we were having so much fun together! In the dream, I could feel the wind blowing on me as I rode the bicycle. I could also feel the love I have for her and the love she has for me. It was a beautiful experience. I had a dream about Callie this year, many long years since she passed. In this dream she was a little older. We were having a happy, playful, loving time together. I was petting her and she was “dancing” around me, wagging her tail in delight. These dreams, these gifts of love from the Divine, warmed my heart and brought back fond memories of our time together. The dreams are such a blessing to me. I know these dreams are real! Animals are soul too. The dreams about Callie reassured me that she is still alive and happy in the other worlds. The love we have for our loved ones, including our pets, and the love they have for us lives on after they have passed. I am deeply grateful to the Divine for these beautiful personal gifts of love. Many have longed for another moment with a loved one who has passed on. They look forward to the day when they are reunited in Heaven. Please know you can visit with your loved ones now in dreams and spiritual contemplations. These experiences are just as real; do not discount them. On a beautiful summer morning during a weeklong class at the Nature Awareness School I was given a very short dream. During it my spiritual teacher, Del Hall, asked me, “Did you get to see your dad?” He was referring to the experiences we had during a HU Sing in class the night before. At that very moment I remembered seeing a glimpse of my dad towards the very end of the HU Sing that I had forgotten. I wrote it in my journal and thanked Prophet for this gift of remembrance. Later that morning as I closed my eyes in appreciation, I wished my dad well. I knew Prophet’s presence was with me, and I could feel his love in a warm breeze. As I did my dad spiritually appeared right in front of me! I hugged him and felt his bony shoulder as I leaned my head on it. I miss him so much. My eyes watered as they are watering now, reliving this gift. Wow! I got to spend a few moments with my dad who passed away a few years back. God gave me this tailor-made experience through His chosen Prophet. Prophet loves me and knows me so well. You too can be blessed with such precious moments. This story is about more than the loss of a beloved pet. It is about having the wisdom, trust, and strength to focus on the positive in a time of genuine sadness. Those who have this attitude of gratitude will be able to travel through the rough patches in life with less wear and tear. I am eleven years old and I had an amazing, amiable boy cat named Adam. His personality was adorable and I loved him dearly. He knew how to give and receive love. On March 11, 2015 my family and I had to take him to the veterinarian and put him down. He had a urinary tract infection which had damaged his kidneys. He was only three years old and I was extremely sad! I trusted God and knew in my heart this happened for a reason, but it still hurt. Even so, I decided it would be better to be grateful for the time I had with him instead of being sad about the time I didn’t. I know you can visit loved ones in dreams so I asked Prophet several times over the next few nights for a dream with Adam. I did not receive one right away but kept asking and never gave up. One night I had a wonderful dream with him, it was so clear. In the dream I was climbing the stairs to my room to go to sleep. When I opened the door Adam was sitting right there on the floor next to my bed. Once Adam saw me he quickly scrambled under the bed like some cats do. Sadly I got in bed, wishing he had not scurried away. He then peaked his head out with a look on his face that said, “Oh… you want to pet me.” He then snuggled up close to me purring loudly. I could feel his warmth as I scratched his furry little head. It felt so real! I cried both joyful and sad tears. I am very grateful that God and Prophet knew I missed him. It helped me a lot seeing him again. After a few months I started wondering about getting another kitten as a gift for my upcoming birthday. I then received a magazine I subscribe to and it had a kitten on the cover, which it never does. The month of the issue was my birthday month. I was then reading a book and the girl who had always wished for a kitten received one for her birthday. I took these signs as confirmation of what was in my heart: I was ready for and desired another cat. I will always have a strong love for Adam as well as for my new kitten, Milo. I’ll always remember Adam and the amazing gift that God gave me. A strong love connection has no limitations. It is above time and space and the end of physical life will not diminish this love. Even so, what a joyous reunion it is to see a loved one again, hear their words, and feel their embrace. Our book “Visit Loved Ones In Heaven” includes additional stories of visiting with loved ones. You can preview it HERE. Our lives are a collection of moments. Experiences and memories weave together to create the fabric of who we have become in the present. Our loved ones: family members, friends, and even pets play a huge role in our journey through life. The moments when we lose our loved ones can be some of the darkest in our story, but they do not have to be. The loss of a loved one is not the end of your love story! My mother, Patricia, passed away on Mother’s Day in 1998. I was sixteen years old. My mother had been a part of almost every moment, experience, and memory that made up the fabric of my life. The thought of having to carry on and create new memories without her seemed overwhelming. Thank God for God! I have come to know that we are all in God’s Hands and that my love connection with my mother transcends our physical separation because she is still alive and well as Soul. Thanks to God and His Prophet my mother and I have been blessed to share moments in dreams, awake dreams, and guided spiritual travels throughout the years since she passed. The timing is always perfect and just when I need motherly love and encouragement. One of my favorite awake dream symbols is seeing a red cardinal. I started to notice that when I was thinking about her or missing her I would see the flash of a red cardinal. The cardinal would usually land on a branch directly in my view and then once I got the message fly away. To me the bird represents the love connection that my mother and I still have even though she is no longer with me in the physical. Every time I see a red cardinal it is not an awake dream, some are just birds, but I know in my heart when it is a message. I was also blessed with a very special night dream sixteen years after her death. I am a mother now, with my own family and children. One day while driving in the car, my daughter asked me if she would ever meet my mother in her body as I had known her. I explained that her body was gone forever but that my daughter could meet her as Soul or in a new body if she reincarnated. That same night I had a dream where my mom (in the form of her physical body as I remember her most) was sitting on the edge of my bed. I walked into my bedroom and she stood up from the bed and hugged me. I could feel her body and smell her. It was the same hug I had known and missed for so many years. In the dream I was conscious that it was present day and that she should not really be there physically and how special it was to be seeing her. She told me that she was proud of the woman that I had become and the life, family, career, and home that I had created. Hearing her voice again was music to my ears. I was in high school when she passed away so her words, expressing that she approved of the choices I had made, were more than any daughter could hope to hear. It was a REAL experience and interaction and a true blessing from God. I am so grateful for the opportunity to reconnect spiritually with my mother. I am also thankful for the wisdom I have gained to cherish every moment I have with other loved ones while we are still together in the physical. Dreams play a big part in our spiritual growth and provide us an opportunity to experience the Light and Love of God. At times our dreams also show us what the future may bring. They can plant the seed for the dreams of our heart to manifest here in the physical. We were on vacation. I stretched out in the grass enjoying the warmth of the sun and the delicate breezes flowing across the water. I picked up my brush and added a few more strokes to the canvas. It had been so long since I last painted! I was attempting to capture the beauty of the sun’s reflection as it danced across the quiet rippling of the lake. My husband Mark was there, along with my aunt, her husband, and son. Mark and I were staying in a cabin that sat right on the lake. We shared a picnic lunch together and visited all afternoon. It was a pleasure to be together in this place. We decided it was time to say goodbye. I walked through the dim interior of the cabin to meet my aunt on the front porch. As I stepped out, light brighter than many suns shone down upon us. I saw her swallowed up in blazing gold and white. It was God’s glorious Light! It was moving and sparkling. Then I saw nothing, but just was. To my surprise we began to sing together in perfect harmony. I became absorbed in the sound seeming to rise higher while also staying still. Our voices were rich and the sound was unlike anything I had heard before. It was pure freedom and joy. As I woke up from this dream experience, I could still hear the beautiful echoes of that heavenly sound and feel the warmth of God’s loving Light washing over me. Not only I, but my aunt had been touched by God’s Light and Sound. My aunt and I shared a pure love Soul to Soul for each other and also for God. Bathing in His glorious Light we could not help but sing. The singing itself was a beautiful blessing. It was so freeing and natural to be able to express love like that. A year or so after I had this dream my aunt and her family moved to Houghton Lake, Michigan. We decided to plan a visit to go see them and we rented a cabin on the lake. It was then that Prophet helped me see the connection. My dream was manifesting in my outer life! I began to realize that this trip was a significant part of my spiritual syllabus and also would bless my family. I thank you Prophet for allowing me this experience and for blessing those I love. Even though our time in the physical comes to an end, we will see our loved ones again. Until then, dreams afford us with a very real opportunity to continue our relationship by spending time together. The love we experience in dreams is just as real as in waking life. Learn more about dreams at one of our retreats or workshops. My grandmother passed away when I was a young child. At the time I was confused about her death and it was the first time I can remember experiencing the feeling of loss and deep sadness. We were very close and I loved her very much. However, sometime shortly after her death I had a dream with her. In the dream we spent time together in her workshop. She used to make beautiful stained glass artwork and windows. I sat on her workbench and watched her make stained-glass windows enjoying our time together. I do not recall us talking in the dream but I experienced the bond of love we shared. This dream brought me a lot of comfort during a time of hurt. My heart began to heal from the loss and over the years I would have a dream with her from time to time. I had dreams where she was at some of my sports games cheering me on. I saw her seated in the bleachers smiling and happy. These dreams were so real that when I would wake up a part of me knew that she was not gone forever and she was fine wherever she was. At the age of twenty I moved from a small town in Colorado to the Northern Virginia area. This was a big transition for me. Shortly after my move I had another dream with my grandma where she looked at me and into my eyes and said, “It’s all alright.” I awoke from that dream with a feeling of comfort and peace that I cherished during a time where everything around me was new and unfamiliar. My dreams had become a way for our relationship to continue even though she had passed on. A few years after my move, I began taking classes at the Nature Awareness School. There I learned that dreams are a way that the Divine communicates with us and each of us has our own personal dream language. This resonated with me and my dream experiences over the years with my grandmother only confirmed this truth. The school helped me really claim that these are REAL experiences. This realization has been a beautiful blessing in my life and it has shown me that our loved ones live on beyond the physical. The dreams with my grandma over the years have brought me comfort, love, peace and helped heal the hurt I experienced in her passing. Our dreams are REAL experiences. We may not always understand them and sometimes they may seem convoluted. But I can truly say that I understand more of my personal dream language through the spiritual tools I have learned at the Nature Awareness School. Read more stories in “Visit Loved Ones in Heaven” of people being reunited with their loved ones. 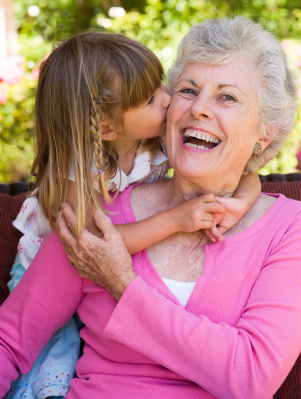 You need not wait until the end of your earthly life to see your loved ones again. The Prophet can bring you together to visit with them in Heaven now, even while you are still living. What a blessing and opportunity for healing these moments can be. Many have been blessed to see their loved ones again while singing HU, an ancient name for God. Experience the HU August 2nd at our next HU Sing. Details HERE. When I was growing up my family was very involved in our local church. I would go to Sunday school, regular service and other events that were held at the church. There was one particular time when I attended a funeral, it was my first time and I was about seven or eight years old. I noticed the family was very sad that a family member had passed away, and they felt that they would not see them again. The question I had in my heart at that time was will they ever see them again or only will they see them in Heaven? As a young boy I asked my mother was this true, will a family only see their loved ones after they die, only in Heaven? My mother said yes, that would be the only time they could see them again. I really felt sad for the family thinking they would never see this person again, only until they go to Heaven. Many years passed since that day. As I grew older many of my family members passed on and I would think about them and miss them. I often wondered if I would see them again in Heaven. I attended a class at Nature Awareness School and I was told that dreams are real and dreams are one way that Divine Spirit talks to us. Del, a Prophet of God, taught us that dreams could be healing, and if we asked the Prophet, he could guide you in a dream. Twenty years have passed since I first heard that dreams are real and you may be able to talk to or see a loved one that has passed in a dream. Since then both of my parents have passed on and I have seen them again in my dreams. The dreams that I have had with them have been healing and have soothed my heart. I have missed my parents and seeing them again and other loved ones in dreams have given me the opportunity to know that they are okay; it has been a blessing from God. My dad loved to work outside either in the garden or ride the tractor mowing grass. 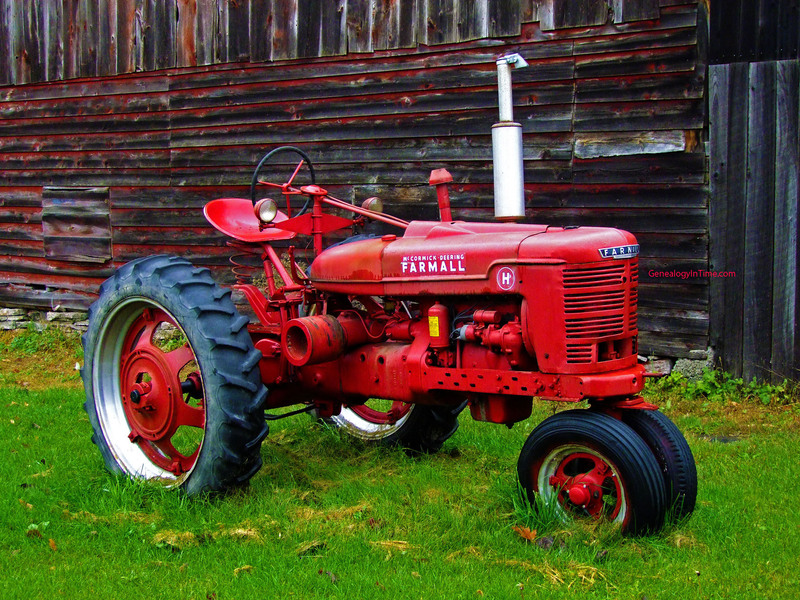 I would sit next to him on his old Farmall tractor while he plowed the garden or mowed the grass; it was one of my favorite things to do as a kid. I had a dream with my father a couple years after he passed that was healing. In the dream he was driving a tractor and he drove up to me with a big smile on his face. No words were said but I could feel the love that was coming from him and I was so happy to see him. We took a ride around the yard a couple of times and he dropped me off where we started, I was so happy, I didn’t want it to end. This dream eased my heart and let me know that my dad was okay. I was able to see him again; he was wearing a white shirt with work pants and his favorite straw hat. I knew that he was okay and that he loved me, and he demonstrated that love by giving me a ride on the tractor in the dream. Knowing that this dream was a blessing from God has given me peace with my fathers passing, and I am grateful. Knowing that I could see my loved ones again in a dream also gives me peace in my heart. How I wish that I could tell that family at the funeral when I was a young boy that they could also see their loved ones again in dreams if they asked the Prophet. I am grateful for this knowledge and to have experienced seeing my dad again. My question was answered; I could see my loved ones again. Thank you Prophet! If this story spoke to your heart, you would love our book “Visit Loved Ones in Heaven.” It is filled with more stories of people reuniting with loved ones. You can preview it for free HERE. Dads can shower their children with love in many ways. It may come as a smile, or pat on the back, words of encouragement or wisdom, quality time together, or in the following example – a reminder to check the oil in the lawn mower. The fact that the reminder came in a dream after the author’s father had passed demonstrates how this love transcends physical life. While growing up I loved my dad dearly. He was loving, gracious, and had a good nature. He taught my brother and I many outdoor sports such as skiing, ice-skating, canoeing, sailing, archery, and shooting at cans with his .22 rifle. We spent many hours enjoying the outdoors with him and my mom, camping and doing many of those things that he taught us. As a teenager I would help him in his carpentry business by painting and staining wood trim. I enjoyed hanging out with him in his workshop while I helped him with projects and we talked about all sorts of things. After my brother went off to college we bought season passes at a ski slope nearby and we spent many hours skiing together. I was his precious little girl and I always knew that he loved me. I thought that he would always be there for me. I was seventeen years old when my dad was diagnosed with an inoperable brain tumor. The doctor told us that with radiation treatments he might live for another five years. Back then, in the 1970’s, no one talked with the patient about how serious their condition was or that they might die. But somehow he knew. Because we didn’t talk about it, we never got a chance to say goodbye. Two months after the diagnosis, even with the treatments, he was in the hospital dying, unable to communicate with us. During his time in the hospital he visited me in a dream. He was going up and down in an elevator. I saw him, though we didn’t speak. Somehow I knew that it was real and we were really together. A few days after he died I planned to mow the lawn. He had given me a nice new bright yellow lawn mower about a year before, after the old one quit working. He even put on a miniature license plate with my name on it. A loving touch. That night I had a very clear dream. He came to remind me to check the oil in the lawnmower. The next day before starting up the mower I remembered the dream, so I checked the oil. The oil compartment was bone dry! Thanks dad for your help in a dream! Back then I didn’t know whom to thank for giving me the dream, but I was grateful for it. Over twenty years later after getting married and having two children, I began going to the Nature Awareness School with my husband. I learned about the Prophet of the times and that he blesses us with dreams. One night I had a dream where I was told that I was now allowed to see my father. He appeared before me and I could see his facial features very clearly. He looked strong and healthy, like he was before he got sick. We hugged and hugged for a long time. He felt so real and so solid. It was so good to see him, to hug him, and to feel his love again. I felt such intense joy seeing him. I said that it had been twenty-two years since I last saw him. Gosh, twenty-two years! When we stopped hugging, he disappeared. What a gift that was! It was real. We were two Souls seeing each other again after almost twenty-two years. Thank you, Prophet! And now, for the rest of the story. Several years after that dream I learned, through many awake dreams and a knowingness, that he had reincarnated into another body as someone with which I have a very close relationship. God has blessed us with being together again. Our love continues, beyond death and into life again! Our new book includes additional stories of visiting with loved ones. You can preview it HERE. Losing my mother when I was 16 years old has been one of the biggest challenges in my life. I am so appreciative of my connection with God and my relationship with the Prophet because I know and trust with all of my heart that she is still alive and well as Soul. Our love connection is still as real and strong as it was when she was with me in the physical. One of my personal waking dream symbols related to my mother is seeing a red cardinal. I noticed that when I was thinking about my mom or missing her I would notice the flash of a red cardinal. The cardinal would usually land on a branch directly in my view and then once I got the message fly away. To me the bird represents the love connection that my mother and I still have even though she is no longer with me in the physical. 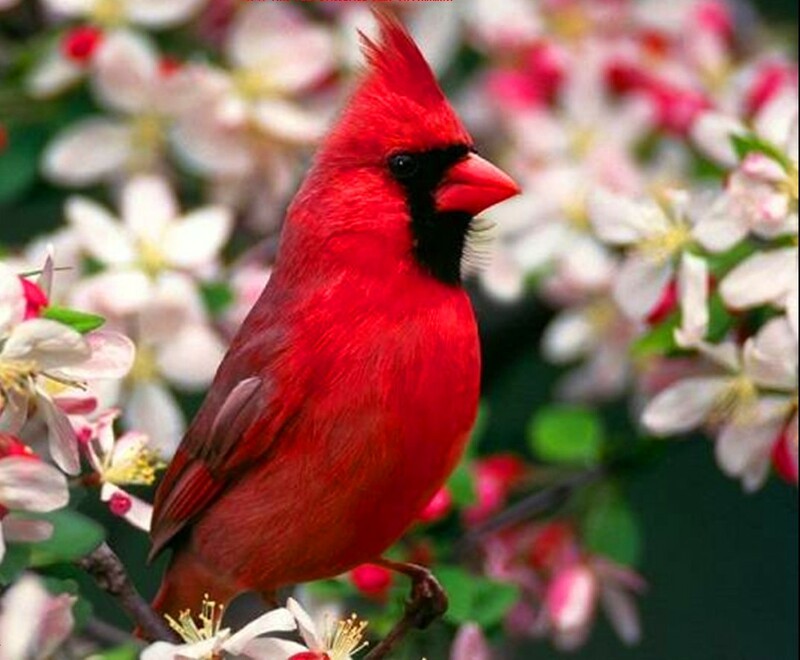 Every time I see a red cardinal it is not an awake dream – some are just birds – but I know in my heart when it is a message and it is always perfectly timed when I am sending her love. One day while driving in the car my daughter asked me if she would ever meet my mother in her body as I had known her. I explained to her that her body was gone forever but that she could meet her as Soul or in a new body if she reincarnated. That same night I had a dream where my mom (in the form of her physical body as I remember her most) was sitting on the edge of my bed. I walked into my room and she stood up from the bed and hugged me. I could feel her body and smell her, and knowing it was present day in the dream, I knew she should not really be there physically. She told me that she was proud of the woman that I had become and the life, family, career and home that I had created. Hearing her voice and those words meant so much to me. The timing of the dream and the motherly love and reassurance was perfect. It was a REAL experience and interaction with my mother as her true self, Soul, and it was such a blessing from God.